Bathroom fitting & installation has evolved to include water saving toilet cisterns, showers which filter and recycle water as well as power showers that heat locally rather than from a centralised water tank. Our specialist bathroom fitters in Southampton understand the need to consider climate, ecology and water consumption in the same vein as delivering the custom bathroom you desire. Innovation in bathroom technology has seen the need for Southampton bathroom fitters grow year on year. On top of outstanding contemporary designs, home owners wish to save as much as possible when it comes to water use too. While bathroom fitting techniques haven’t changed much. The risk of a DIY job going wrong and water damage is high if corners are cut. Our Southampton bathroom fitting service comes highly recommended. We value your trust and custom which is why we put so much emphasis on ensuring any work we do carry out is fully insured. It is important to understand that no two bathrooms and ideas are the same. This is why we offer a free no obligation consultation, lasting approximately 30 minutes. Visiting your home or premises, the bathroom installers will listen to your ideas, take them on board and offer a sketch drawing and detailed 3D CAD visual of what your new bathroom might look like. Drawing upon years of expertise, the designer will offer new ideas about heat and water management and where you might be able to make financial savings, lowering your electrical and water usage. Depending on your tastes and budget a variety of different bath, sink, toilet manufacturers will be recommended. Should you require a full custom bathroom requiring carpentry work and building work carried out; such as dividing walls knocked through, or an extension, we have fully qualified plumbers, electricians and builders that will deliver the highest level of service and quality to attain an exemplary final finish. It is often the case, with refurbishing bathrooms, that to take advantage of new heat and water saving technology that your old bathroom will need to be dismantled entirely. After removing your old bathroom suite, the bathroom fitting can begin in earnest. Underfloor heating laid as required, with full wet room, disabled access, new windows and lighting, with tiling and all units fitted as agreed. Whether you simply wish to swap out an old water tank or need an entirely new en-suite bathroom fitted. 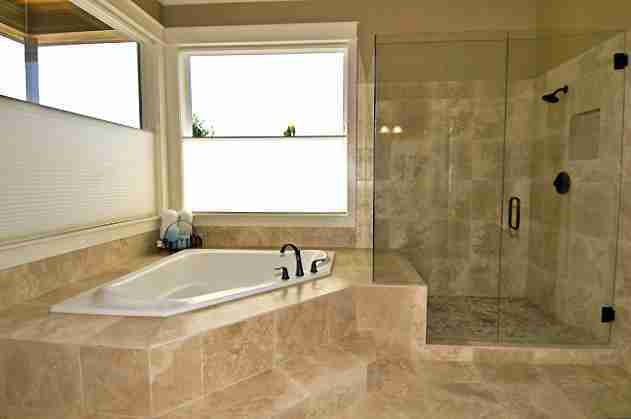 Or perhaps need alterations made to an existing luxury bathroom. Complete the no obligation bathroom fitting enquiry form and we will be in touch at your earliest convenience. Together we will flush out all the details to deliver an itemised quote for your full consideration. Ensuring all work is carried out to specification and completed to schedule. Tap us up for info and we guarantee you’ll be bathing in the glory of your dream bathroom before you know it.